From left, André Isaac Reid, Shira Yoskovitch and Lindsay Jennings of virtual concierge service Handled. In addition to personal styling, Handled also helps with gift buying. While the rest of the world was clicking through holiday wish lists, the luxury-goods market was reluctant to come around to e-commerce. Indeed, there are still some holdouts, such as Parisian leather goods company Goyard, that have yet to make themselves available online. But in 2017, the internet has become a great place to find the most luxurious, thoughtful and unique gifts for your loved ones, and typically boasts more options than you can find in person. As the founder of a virtual concierge service, Shira Yoskovitch lives and breathes shopping, both in store and online. In addition to personal styling, her company, Handled, will also assist with buying gifts. Yoskovitch points out that online shopping opens new avenues for finding gifts from up-and-coming luxury brands. 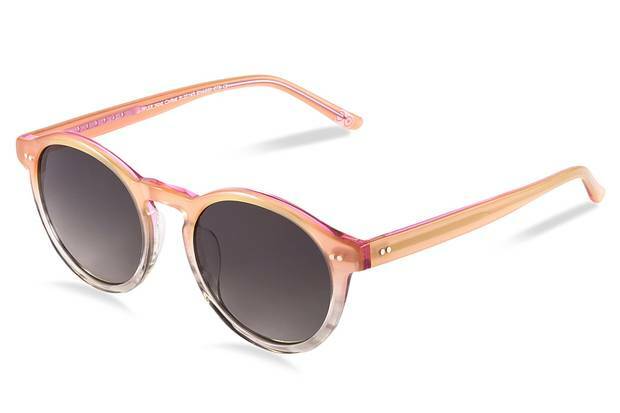 The Emerging Brand: Bailey Nelson - Tyler Sunglasses in Watermelon Fade, $175, through www.baileynelson.com. "Online sites are a great way to find cool gifts from new and emerging companies that you may not otherwise find because they don't have actual brick and mortar storefronts," she says. Try direct-to-consumer companies, such as beauty brand Glossier, eyewear brand Bailey Nelson and transparent-pricing clothier Everlane. When you know exactly what you are looking for (for instance, a signature scent), ordering online can be far easier than going into a store, and also allows for different elements of customization and personalization, such as engraving or choosing your own colours, which can make your gift even more special. 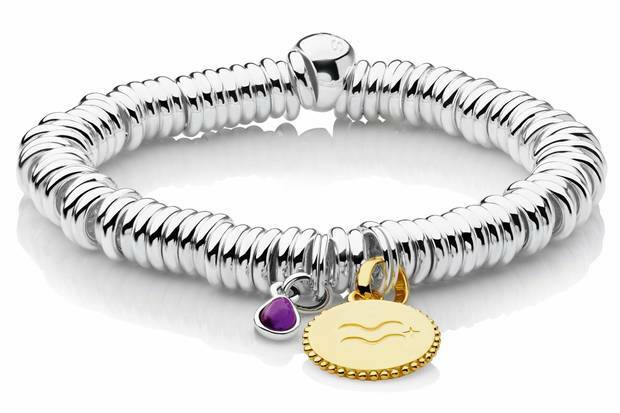 One excellent gift idea that has really found its legs online is pre-owned luxury pieces. "It's an opportunity to get something extra special, because a lot of these items are rare or hard to find," says Britt Rawlinson, owner of VSP Consignment in Toronto. Whether you're looking for something in particular (that Chanel cruise piece that got away) or simply something unique and unusual (say, a vintage Dior brooch), the internet and all of its thorough search engines make it easy to track down those rare pieces. To hone in on the right gift, Rawlinson suggests taking note of which designers and styles your giftee follows on social media before contacting a retailer for assistance. "At VSP, we can take little tidbits of information like that and run with it, suggest options for you that might be the right fit and help guide the process," she says. "From there, most people get that moment where they go, 'That's it! That's so them.'" When the world is at your fingertips, it can be difficult to sift through the bad and get to the good. One starting point when shopping online for gifts is the e-commerce sites of brands or department stores that you already know and trust from their in-store experiences, such as Saks Fifth Avenue, Nordstrom, Birks and Holt Renfrew. 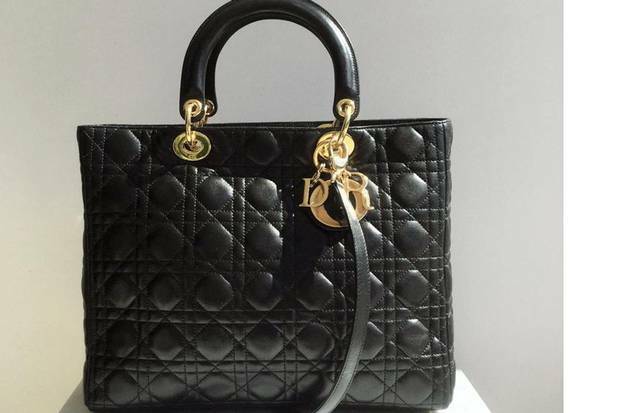 The Consignment Piece: Dior - Lady Dior Bag, $3,598.40, through www.vspconsignment.com. Often, their offerings will be even greater on their websites than in store, so you may find the perfect gift online that you would not have access to at a retail level. There are also tried-and-true luxury e-commerce sites, such as Net-A-Porter and its affiliate sites Mr Porter and The Outnet (which offers discounted designer goods), MatchesFashion and Montreal's Ssense, each of which boasts a massive selection of merchandise curated into different categories and styles. Keep in mind that some of these platforms may be based in U.S. currency, meaning the price could fluctuate for a Canadian shopper due to the exchange rate. When shopping online for consignment luxury goods, remember that it's buyer beware, so take precautions before clicking buy. "Shop where there are people you trust, and who guarantee authenticity," says Rawlinson. "I will say that if the price seems too good to be true, it probably is." For the uninitiated, shopping online can be overwhelming. Unlike walking into a store and leaving with your purchase in hand, there's a different type of know-how required when making an online purchase. Perhaps most critical at the holidays is confirming your delivery time. 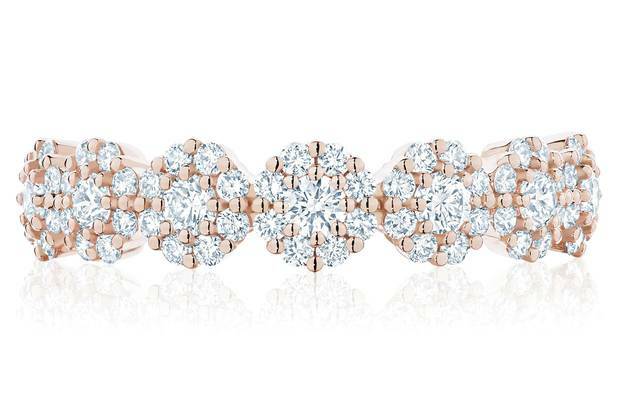 The Designer Good: Birks - Iconic Stackable Rose Gold and Diamond Snowflake Ring, $4,995, through www.maisonbirks.com. "Weather is pretty unpredictable this time of year, and when you pair that with the huge spikes in shipping volumes, it's not a good idea to cut it too close to the date," says Yoskovitch. She recommends checking with the customer-service department of the website to ensure online tracking is available, and planning delivery in advance of the date the item is needed. For instance, the first week in December is a fairly safe bet for a delivery to arrive before Dec. 25. "After that, it does get riskier." Yoskovitch also suggests extending your research beyond the item you are thinking of buying and into the website and its policies, which is critical when making any purchase. "Unfortunately there's a common misconception about the fact that all sites and stores will allow returns or refunds around the holidays, especially if purchases are being made across the border," she says. "Make sure you know your rights, and don't be shy about asking the site's customer-service team [questions] until you're completely satisfied." When making a substantial purchase, whether online or in-store, it is important to know if your gift is protected by your credit card, as many cards offer benefits that will protect a purchase in case of theft, accidental damage or a defect. "Card members should be aware of the insurance benefits that will protect them when making purchases in-store or online," says Nick Bilodeau, head of insurance for American Express Canada. For instance, some cards may offer protection in the event that your shipment goes missing or may extend the manufacturer's warranty. Consumers should check their card's policies "to fully understand the coverage benefits and terms and conditions associated with their particular cards, including eligible purchases," Bilodeau says. Finally, while banks and cards provide secure methods for processing online payments, take care to protect your bank-account details and PIN so your happy holidays don't go sour. The Customized Item: Links of London - Sweetie Made-to-Order Bracelet, $500 for option shown, through www.linksoflondon.com.